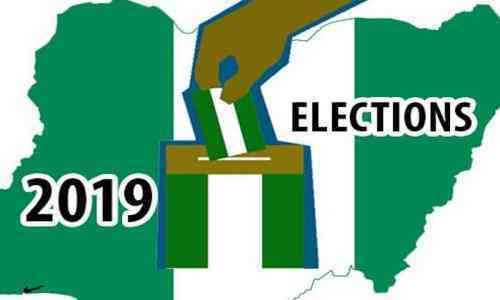 The 2019 elections in Nigeria and by extension in Delta State may have come and gone, but the fact remains that there are some losers, especially sitting members of the National as well as State House of Assembly, who lost out in the just-concluded polls. Some of the biggest losers included, the former Speaker of the Delta State House of Assembly, Rt.Hon. Ovwigho Monday Igbuya. Hon. Igbuya, who contested for the House of Representative Uvwie/Okpe/Sapele Federal Constituency under the All Progressives Congress, APC, lost to Hon. Efe Afe of the Peoples Democratic Party, PDP. Earlier on, Hon. Igbuya was impeached as “Speaker” and suspended twice in the State Assembly for some reasons. Another big looser is the member representing the people of Udu,Ughelli South/Ughelli North Federal Constituency, Hon. Solomon Awhinawhin. Awhinawhin, who contested on the platform of the Social Democratic Party, SDP, lost out to Rev. Francis Ejiroghene Waive of the All Progressives Congress, APC. Political watchers say Awhinawhin may have lost out because he is far “politically” from the people at the grassroots level. They say, Awhinawhin only comes home when there is election to see the people and after election, he spends most of his times in Abuja. Hon. Evelyn Omavowan Oboro Esq, the current member representing the people of Uvwie/Okpe/Sapele Federal Constituency also lost out in her senatorial bid to Senator Ovie Omo-Agege, member representing the people of Delta Central Senatorial District. Hon. Oboro, who was the Peoples Democratic Party,PDP Senatorial Candidate may have lost out because she was allegedly oppressed by political forces. DAILY POST reports that prior to the elections, her security details were allegedly withdrawn from her. But inspite of that, she summoned courage and battled the election with her rival who defeated her with about 11,000 votes with all the “federal might”. The member representing the people of Ethiope-East Constituency in the Delta State House of Assembly, Hon. Evance Ochuko Ivwurie of the People’s Democratic Party, PDP, also lost his election to one Anidi of the APC. It was learnt that the vibrant lawmaker lost out as a result of the “sentiment vote” the people of Ethiope-East Local Government Area allocated to Chief Great Ovedje Ogboru, especially in his home town, Abraka. The member representing the people of Ughelli North Constituency I in the Delta State House of Assembly, Hon. Samuel Mariere, who contested for the House of Representative seat(Udu,Ughelli North/Ughelli South Constituency), also lost his election to Rev. Francis Ejiroghene Waive of the APC. The above lawmakers will not be returning as members representing their constituencies either at the National or State levels. However, it is being rumored that some of them are already pledging “extra loyalty” to Governor Arthur Ifeanyi Okowa for possible appointment into his cabinet. At the time of filing this report, there is still jubilation in the PDP camp across the state.